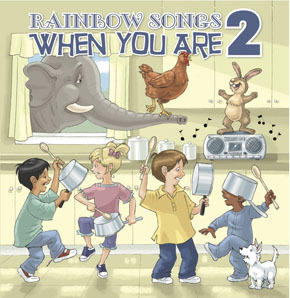 When You Are 2 is the latest in a series of Rainbow Songs CDs created to accompany Toronto’s most popular children’s music program. Just like its predecessors, Oh Baby! and When You Are One!, this CD was created with a particular age range in mind, having been produced to complement our 2-4 years classes. 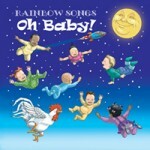 While this CD was conceived with our young children’s program in mind, all Rainbow Songs families will be able to find a favourite song on an album which touches on a genre for everyone’s taste. With many current and former instructors performing, this CD again delivers fantastic vocals and only the highest production quality.